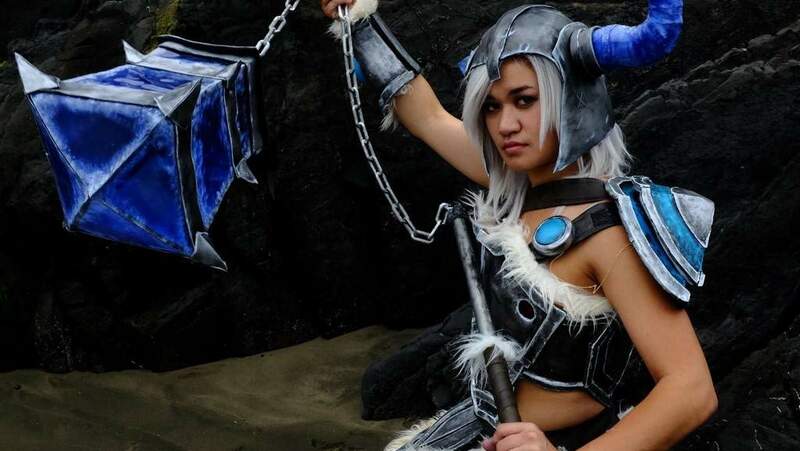 Kazzy Cosplay created this tutorial for round three of our TranspArt Competition! 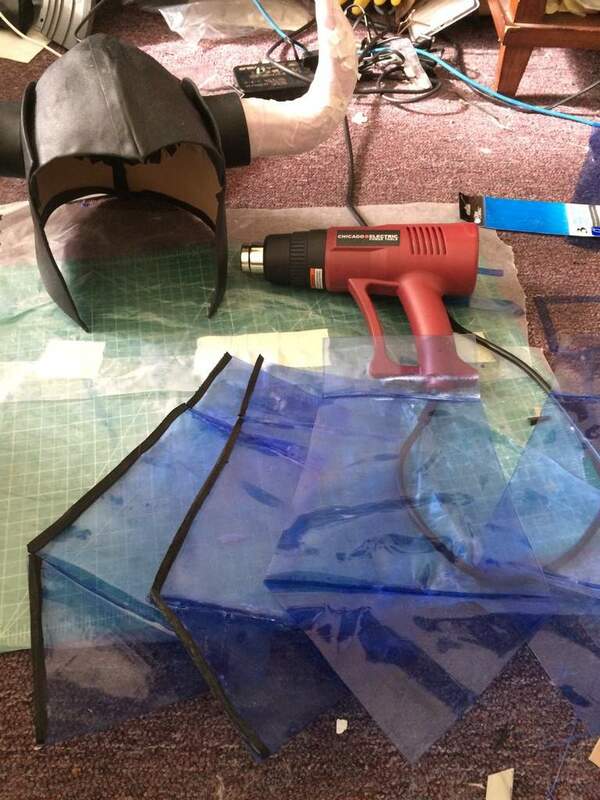 As part of the final round of the Worbla TranspART contest, all contestants are required to create a tutorial for their build. So buckle up, kiddos! This is a LONG read but hopefully helpful if you are looking to build your own geometric prop with TranspART. For this round, I deliberated for quite some time over what I should make. 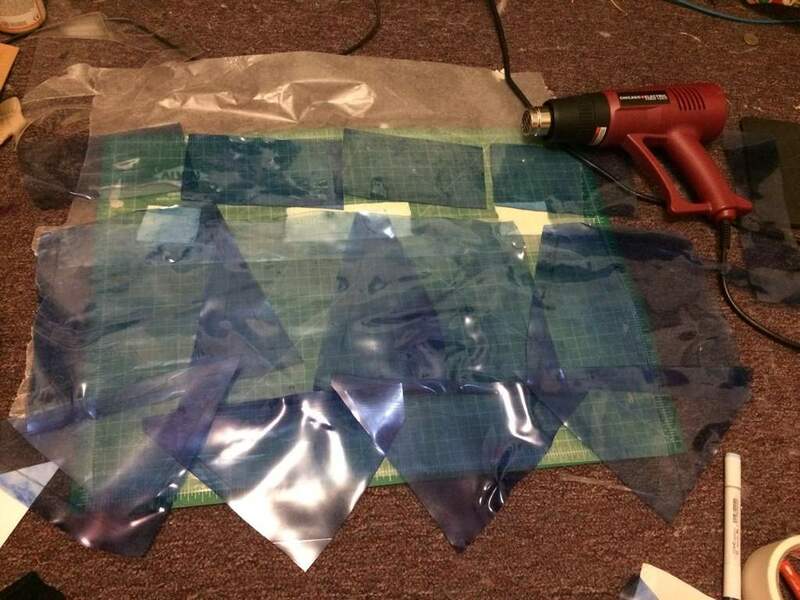 I showcased the fire/visor capabilities of TranspART in my last build, so I wanted to look for something that would showcase alternate uses of TranspART. 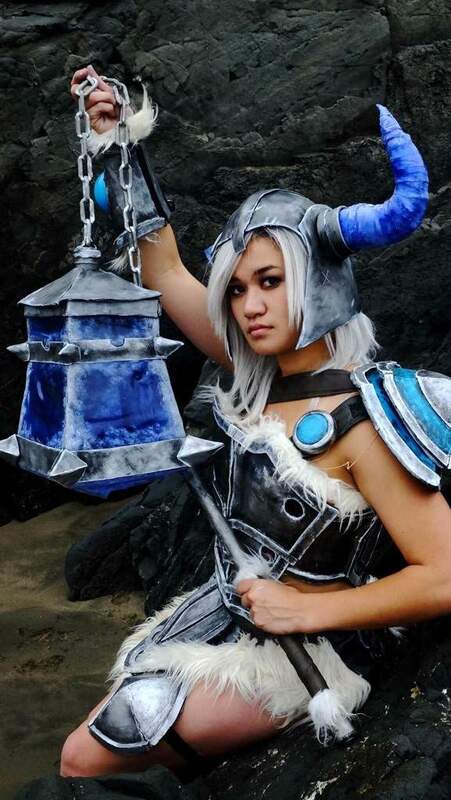 Many ideas later, I decided to create my own interpretation of Traditional Sejuani’s ice flail and battle helm from League of Legends. 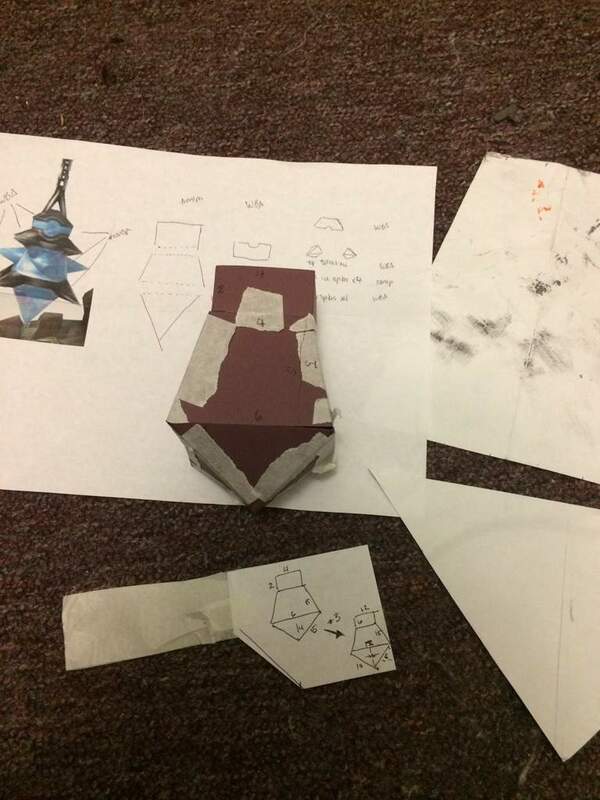 First things first – for this oddly shaped flail, I sketched out the shape and started creating a pattern out of card stock. 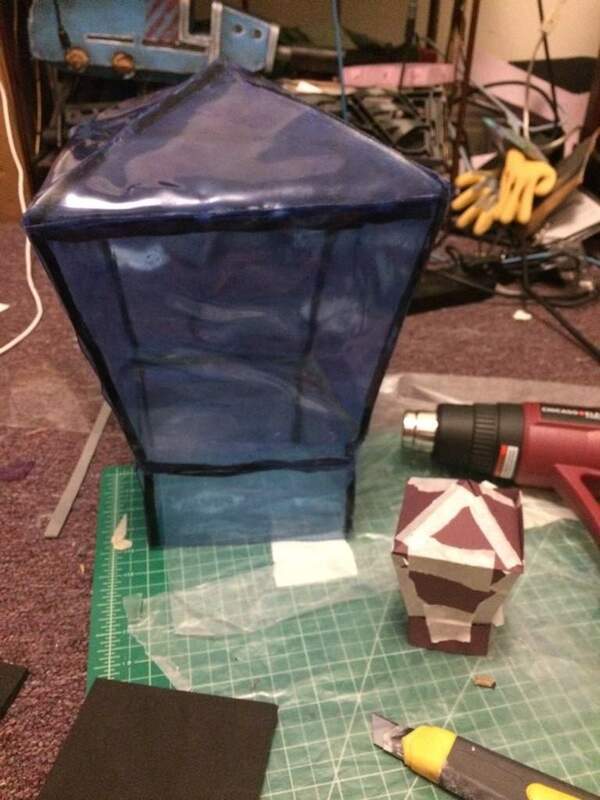 This tutorial should work for most bulky/geometric props that need TranspART sides. This may take a lot of adjusting, but once satisfied with the smaller shape, scaled it up to your size. I multiplied mine by 3 so that I would have a large flail fitting of a battle mistress of the Freljord. 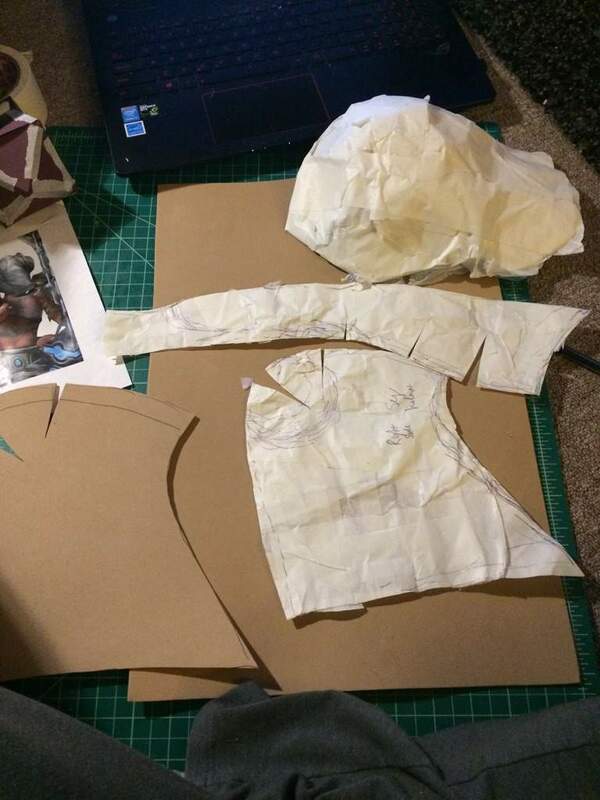 Translate these pieces to TranspART and add a seam allowance . Ice time! 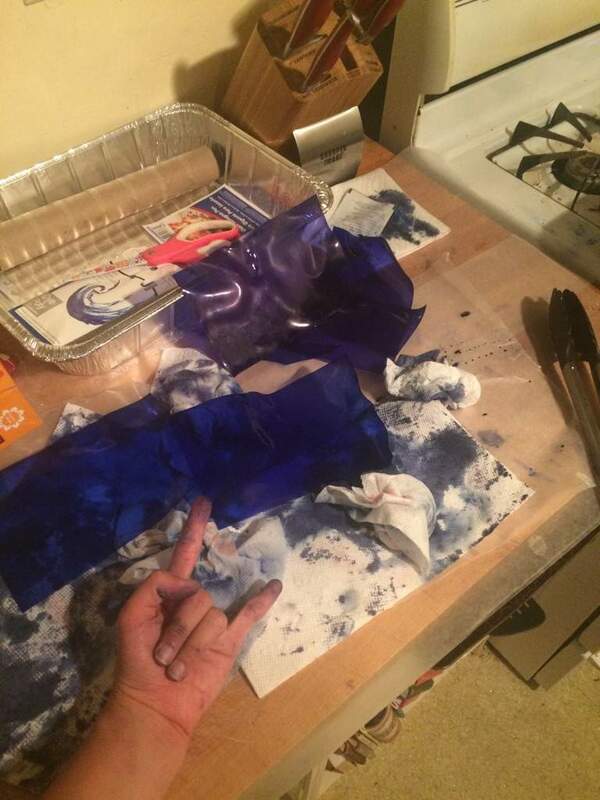 Make sure you test your dye on practice pieces before you dye your final pieces! To figure out the appropriate shade of blue, I tested multiple pieces in varying times in different baths. Once satisfied with the test pieces, dye the large pieces. I used varying baths and purposely tried to get a bit of an uneven dye to represent ice. Now let’s shape it up! TranspART does not adhere to itself very well while maintaining a strong, straight edge. To best represent ice, I wanted strong line edges but the TranspART was rounding with the heat shaping. 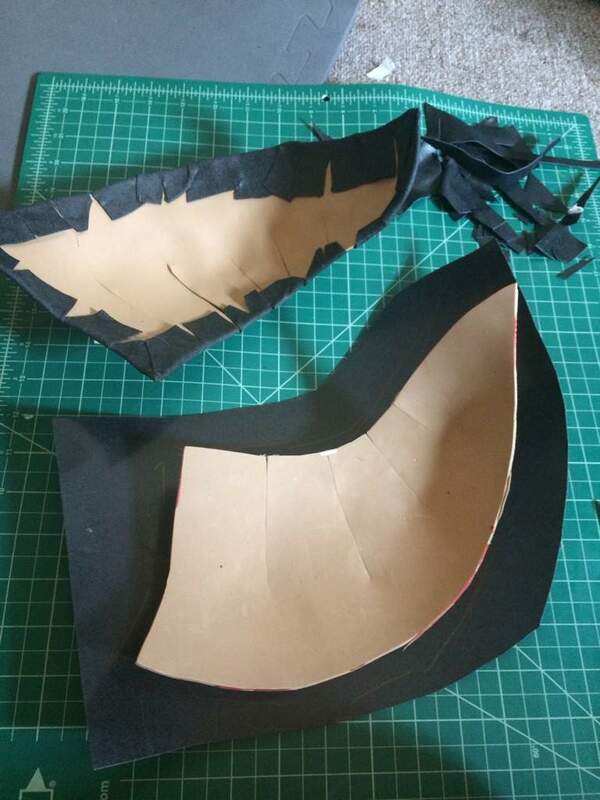 To combat this and get geometric edges, cut bits of thick craft foam (I used 5mm) on a 45 degree angle so you have triangular strips with a right angle. Now use the angles to align your edges of your pieces. I adhered mine with Loctite but I believe most cyanoacrylate adhesives will work. 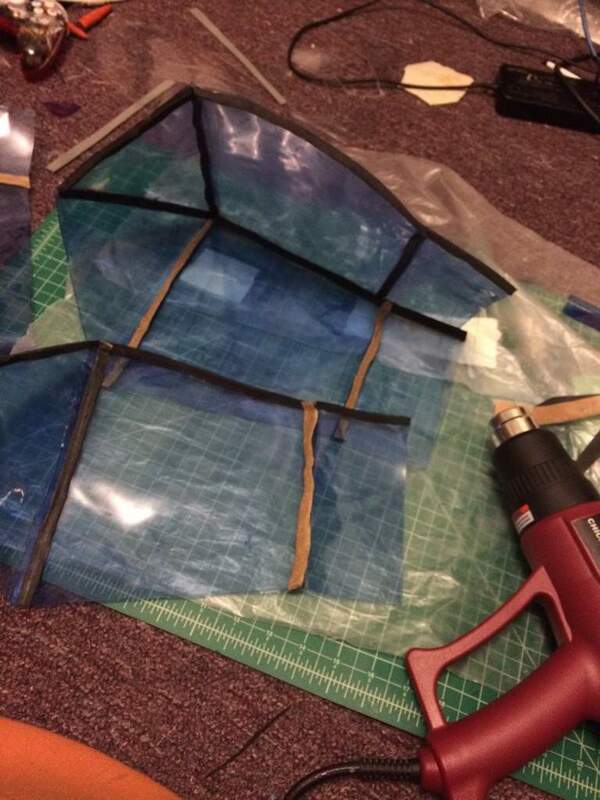 If your prop is big, use strips of worbla to line the edges for extra structural integrity. Now glue your structure altogether! 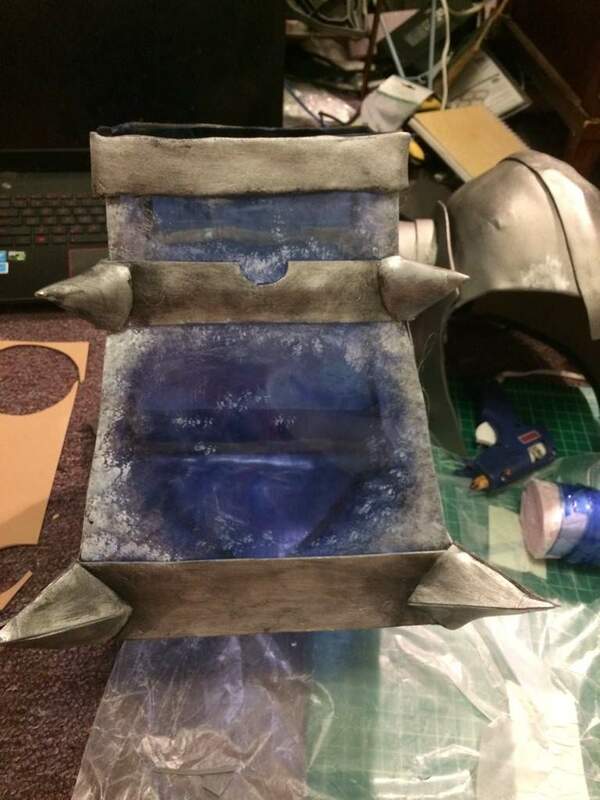 Use craft foam and worbla-covered craft foam to create any details, structural points, handles, etc. For the flail, I used this for the “metal” bars, spikes, and top of the flail. I used a Gatorade bottle top as the center to connect to the chain! 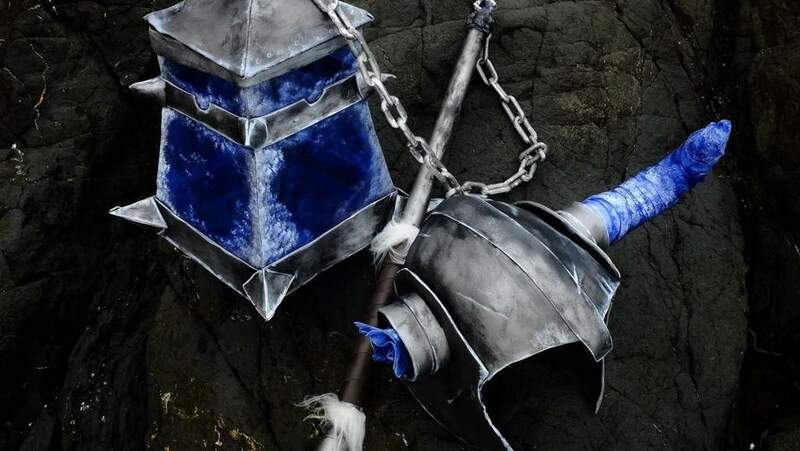 Attach your flail to your chain with worbla and attach the chain to a pvc pipe. Now seal your worbla and foam. I used flexbond for the first time with this project and I loved it! Strong and super flexible. You can also use wood glue, mod podge, etc. if you choose. Paint and weather your weapon! Don’t be afraid to really dirty up the “metal” with some black and brown paints and bring attention to highlights/snow with a white or silver paint. Ta da! 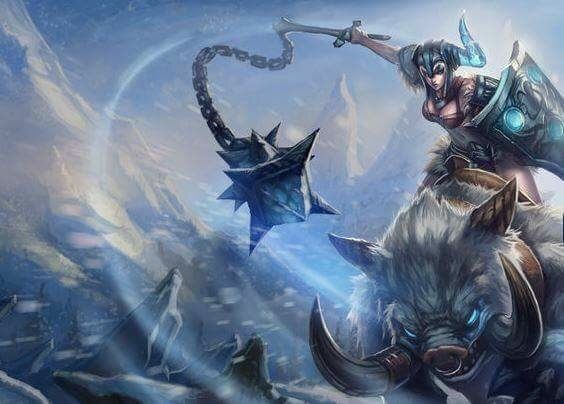 Enjoy your new ice flail and swing that baby around! 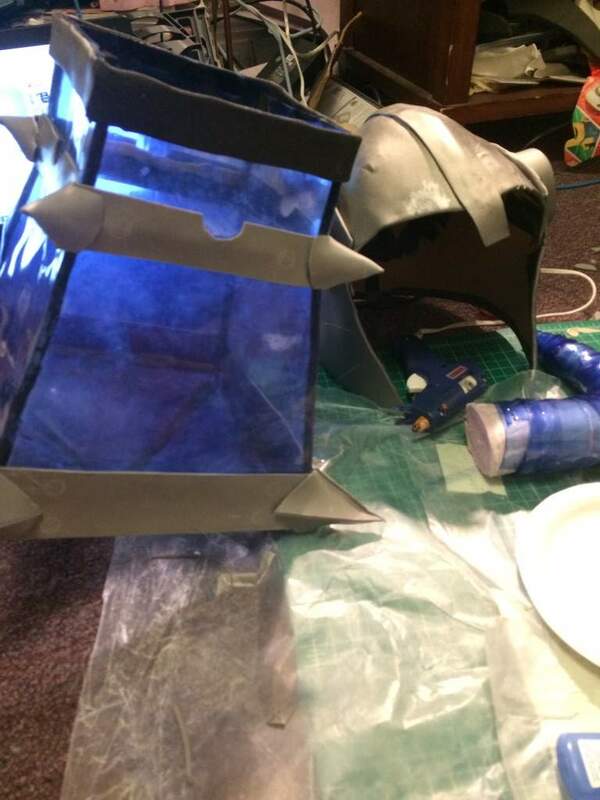 To make this battle helmet, cover your head or wig head with plastic wrap and wrap it in masking tape. Use a pen to line off your masking taped head to get a pattern. Carefully cut a long the lines, and translate the masking tape pattern to craft foam. 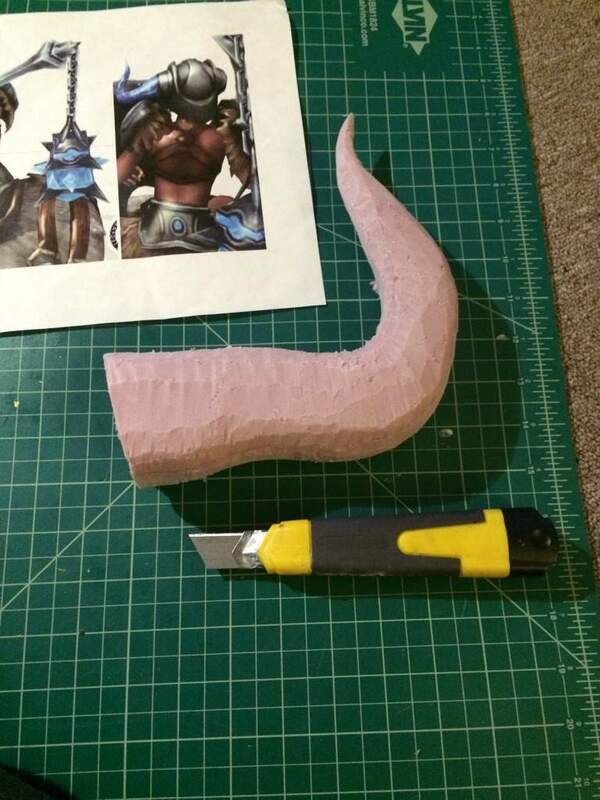 Trace the foam pattern to worbla pieces adding a bit of a “seam allowance” to shape over the foam. Use the “tab method” to fold the allowance of worbla over the foam edges so you get clean pieces. Adhere your pieces together with heat. 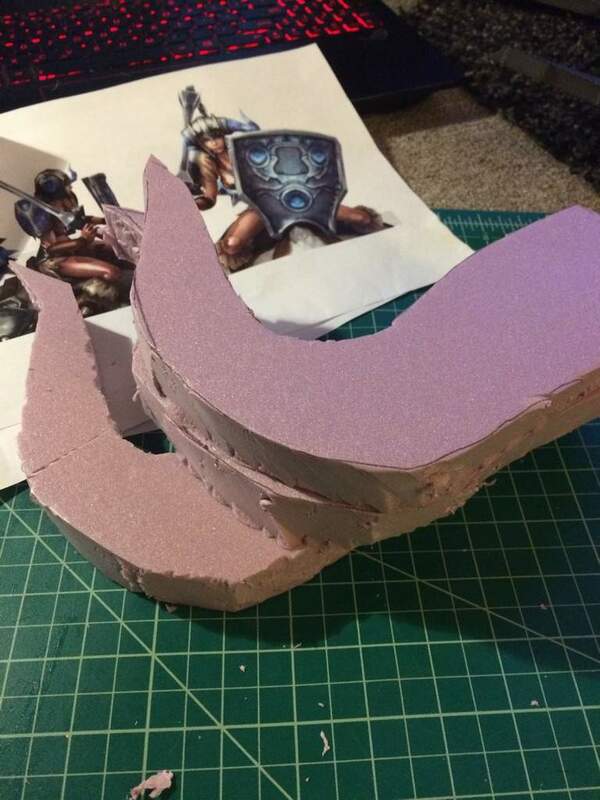 For the Viking horn, cut out a horn shape in pink foam. Sand and carve down the link foam til you get a nice smooth horn. 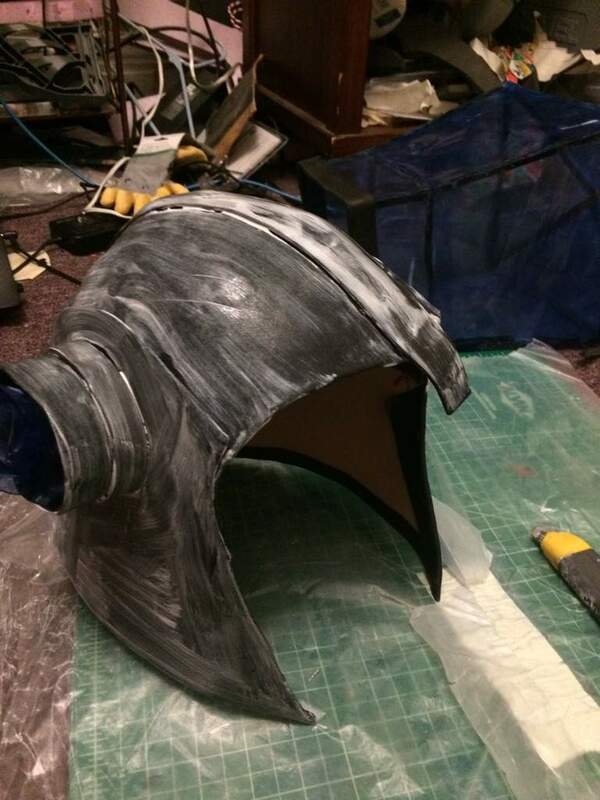 Use worbla and foam to add details to your helmet. Seal the helmet with flex bond (or your choice of primer). 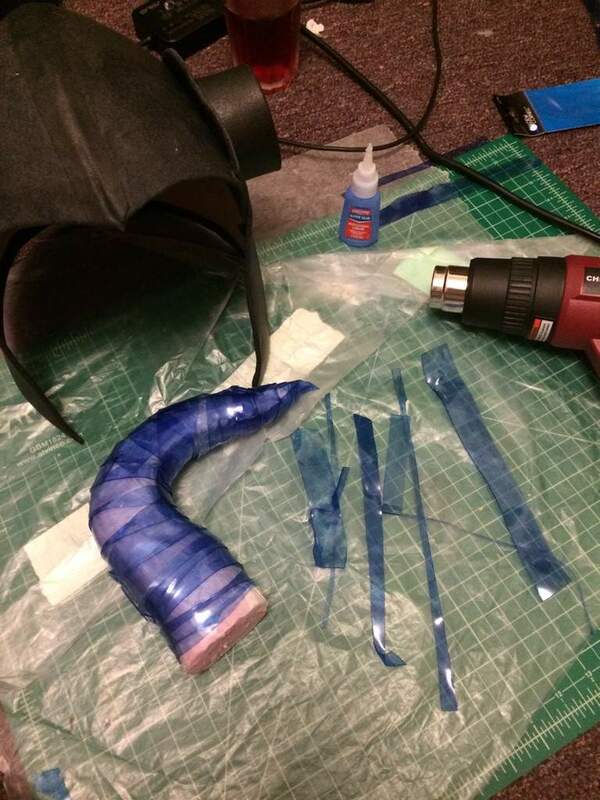 Wrap your horn in HOT pieces of TranspART and be careful of your fingers! Use gloves or silicone finger tips for safety! Adhere your horn with loctite or magnets for easy removal. 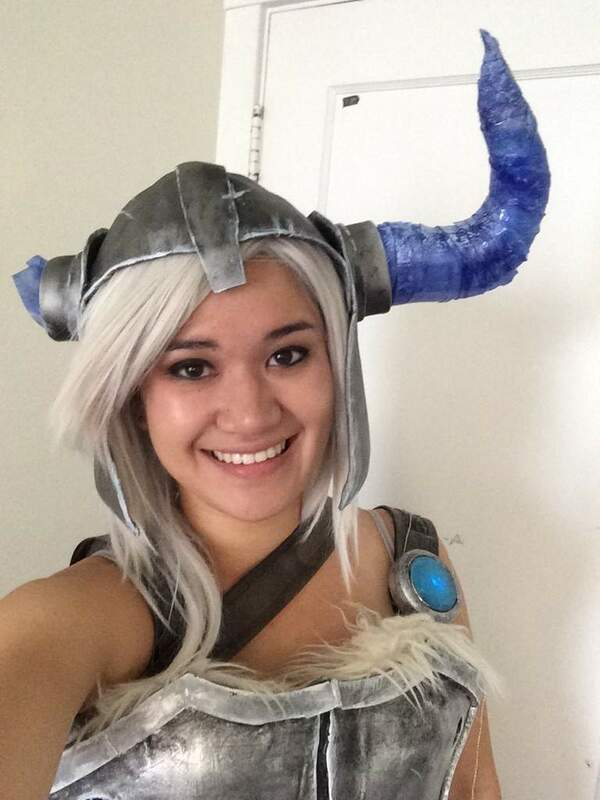 Paint and weather your helmet and make sure you add some snow to your ice horn! I hope that was helpful and please feel free to reach out if you have any questions!